This week was marked by one of the biggest deaths in recent American history. Last Friday, George H.W. Bush passed away, marking the first time a former president has died since Gerald Ford in 2006. The result was a week of soul-searching and remembrance of times gone by—at least in American media—and you’ll be getting plenty of that below, too. But the death of the 41st president of the United States wasn’t the only game in town. Across the world, there were plenty of other major stories deserving of your attention. In this column’s mega post-midterms blowout article, we reported that losing the Wisconsin governor’s seat and attorney general positions had been one of the GOP’s biggest disappointments on election night. Evidently, it was so disappointing that state Republicans refused to believe it had happened. 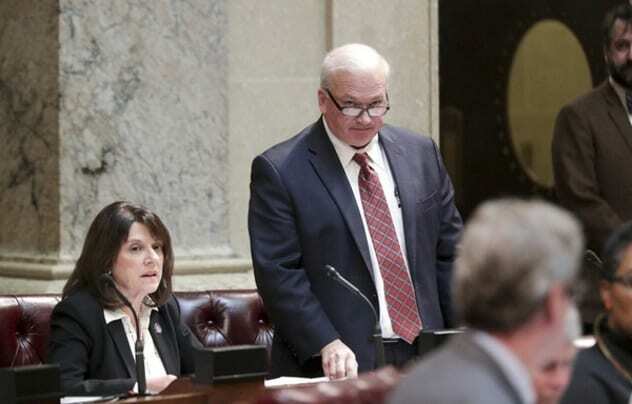 Like a child hurling over the Monopoly board in an tantrum, the Republican Wisconsin legislature did something painfully anti-democratic. This week, they voted to strip the incoming Democrats of many powers. The new bills effectively lock newly elected Democrats into going along with certain Republican legislative programs, while being powerless to propose their own measures. They also throw out a little-known concept called “separation of powers,” which you may recognize as literally the founding principle of American democracy. The Wisconsin GOP is borrowing from North Carolina’s response to Democrats’ unexpected win there in 2016. That case is now headed for the state supreme court, but it has been extremely damaging for American democracy. If Republicans start rigging the game to stay in power, they shouldn’t be surprised if Democrats go through with their own anti-democratic plans to stuff the Supreme Court next time they’re in the White House. 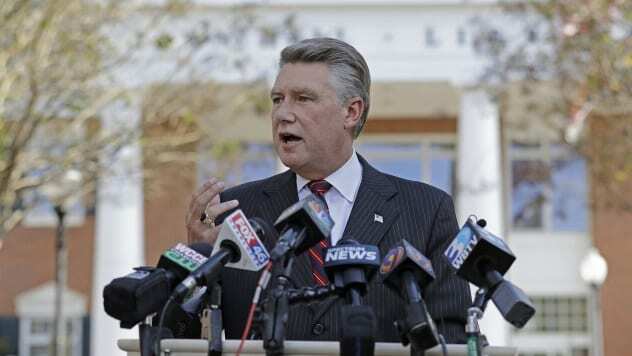 On election night, the AP called North Carolina’s 9th district for Republican Mark Harris, a win that surprised absolutely nobody. So why are we speaking about it now? Because NC-9 is now the last unresolved House race of 2018. After Harris seemingly won by a narrow margin of 908 votes, residents began to come forward alleging voter fraud. The actual intricacies are a little complicated. Statistical analysis has shown that absentee ballots went heavily for Harris in regions that were extremely Democratic, an unusual discrepancy. (In some counties, Harris nabbed 61 percent of mail-in votes but only 19 percent in-person votes.) Many other counties requested unusual numbers of absentee ballots, only for 40 percent of them to subsequently go missing. This is added to five sworn affidavits reporting that operatives turned up on people’s doorsteps and filled out or returned their ballots for them—something which would be illegal under North Carolina law even if no tampering happened. To be clear, this is all in the realm of speculation right now. Still, the incident has been referred to the state attorney general’s office, and a rerun of the election may be in the cards. In the early hours of Wednesday morning, police forces across Europe launched Operation Pollino, the largest anti-Mafia action the continent has seen in years. 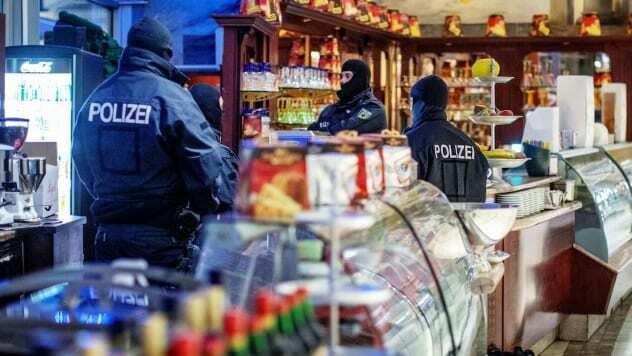 Across Belgium, Germany, the Netherlands, and (of course) Italy, hundreds of police converged on homes and businesses, arresting 90 people and seizing three tons of cocaine. The target: the notorious ‘Ndrangheta Mafia, thought to control some 80 percent of the European cocaine trade. The ‘Ndrangheta, based in Southern Italy, may be far less famous than their Sicilian cousins, but they’ve recently become one of the most dangerous gangs on the continent. They’re thought to have been behind everything from the shooting of children to the assassination of a Slovakian journalist early this year. Operation Pollino’s success was apparently two years in the planning, although it has far from dismantled the notorious crime syndicate. The raid came just one day after Italian police separately arrested the new godfather of the Sicilian Mafia, Settimo Mineo, alongside 45 associates. Back in the heady days of 2017, Emmanuel Macron’s great pitch to French voters (aside from not being Marine Le Pen) was his “at the same time” policy. It contained his entire centrist vision, stating that, while reform was needed, changes that benefited the rich would only happen right alongside those benefiting the poor. It was this idea that helped his En Marche party win in a landslide. Fast-forward to today, and Macron hasn’t just abandoned “at the same time.” He’s killed it stone dead, to the extent that his popularity has plummeted to levels only Francois Hollande had previously experienced. Three weeks ago, a year and a half of resentment at Macron’s betrayal finally came boiling over. 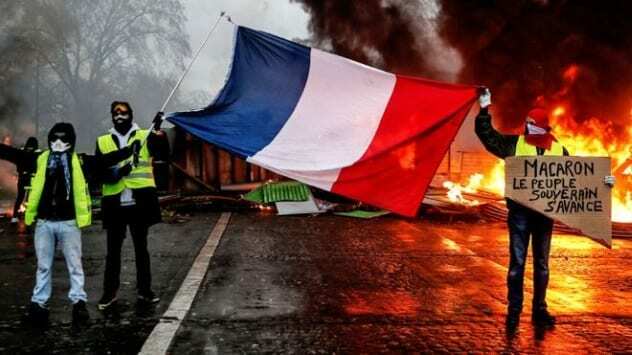 Paris exploded in violent protests after a fuel tax rise. After the protests continued unabated since, the government finally caved this week. Having trashed his reputation, Macron has now also lost the eco-tax he so dearly wanted. Street protests are a basic fact of French life, but even so, these past weeks have been intense. Cars were torched in Paris, police officers were attacked, and the Arc de Triomphe was damaged. Despite Macron’s climbdown, more protests are already being organized for next week. Nine billion years ago, two gigantic black holes in some dim and distant corner of the universe merged together. The energy released in that moment in the form of gravitational waves was more than five times that of the Sun, a huge cosmic event. Last year, the ripples of that cataclysm reached Earth. 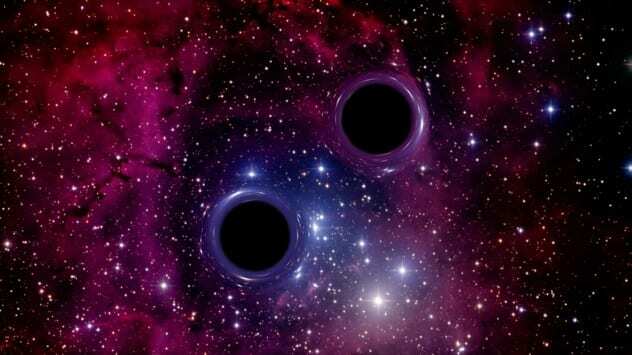 Finally published by scientists this week, they mark the biggest black hole merger we have ever detected. Detecting gravitational waves is still an incredibly new science, and the number of black hole mergers we’d previously detected was on the low side. Excluding this massive merger and three others covered in the same paper, we’ve detected just six mergers, plus a spectacular collision between two neutron stars. But that’s just in the last three years. If we keep on at this rate, we’ll be detecting all sorts of wonders before the decade is out. There are 29 countries currently in the North Atlantic Treaty Organization, better known as NATO. Thanks to an “open door” policy, there are four other countries in the mix that have signaled their intent to join. Two of them (Ukraine and Georgia) will likely never join, thanks to the very idea being enough to give Moscow a heart attack. One of them (Macedonia) is probably on its way into the alliance. That leaves just one more: Bosnia. 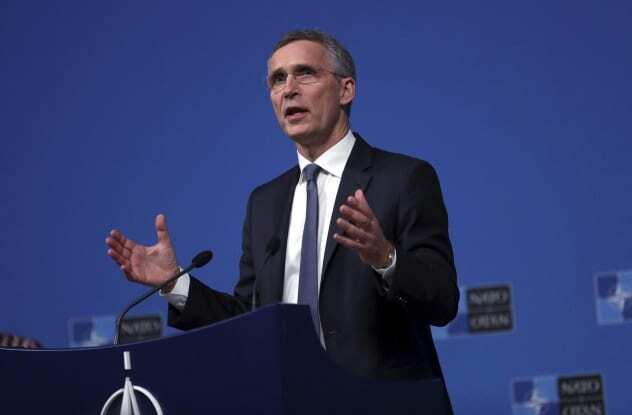 This week, NATO officially gave the former Yugoslav nation the green light to join. Green-lighting membership is very different from a state actually becoming a member. What it means in practice is that Bosnia will now be able to start a path toward membership if it meets certain criteria in the future. Given the combination of Bosnia’s dysfunctional society and the fact that Bosnia’s Serbian enclave is against joining NATO at all, that future could be a very long way off indeed. Still, it’s a significant moment for a number of reasons, not least of which is the potential for it to annoy Russia. Moscow has long considered the Balkans its backyard, and yet another state joining NATO could trigger repercussions. If you thought American politics was prone to the siren song of deluded conspiracy thinking (anyone remember birthers? ), spare a thought for poor old Nigeria. 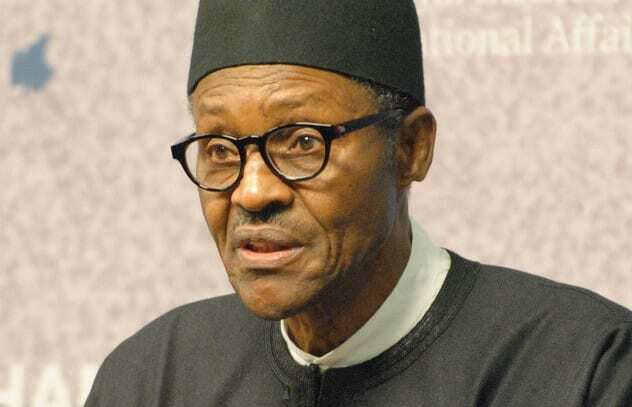 On Sunday, President Muhammadu Buhari was forced to publicly confirm to his countrymen that he hadn’t died earlier in the year and been replaced by a clone. There are some theories that don’t deserve any respect, like Sandy Hook parents being crisis actors, and this is one of them. Last year, Buhari was admitted to a hospital in London. He spent so long in care that he began to be characterized as Nigeria’s “missing” president. In previous years, the story would have ended there. But this is the age of social media, it wasn’t long before many Nigerians became convinced that their president had died. When Buhari resurfaced, instead of modifying their beliefs, they simply added on a bonkers epilogue about him being cloned (or, in some versions, replaced by a body double). Vaguely amusing as this is, it’s also a warning sign about how willing to swallow ridiculous conspiracy theories the world is becoming. From Pizzagate to cloned presidents, it seems we’re entering the age of the paranoid. Right now, we’re in the drawn out process of watching the UK government collapse in real time. 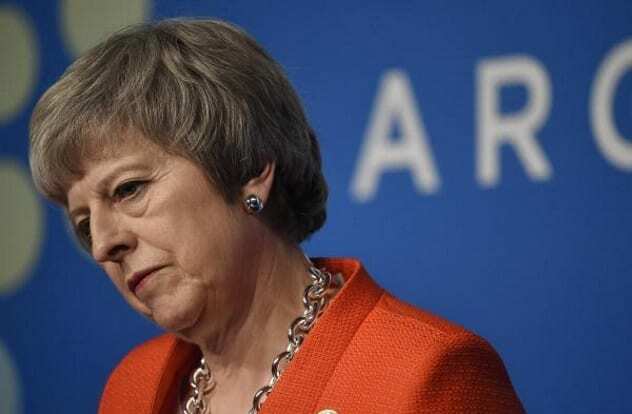 Following the disastrous 2017 election, which left her Conservative party relying on the Northern Irish DUP for support, Theresa May has been sinking steadily into the quagmire of Brexit, her authority diminishing as each new low is reached. This week marked yet another descent into the mud. On Tuesday, the government was found in contempt of Parliament for the first time in British history. The vote came about because the government refused to release its legal advice on Brexit, which, naturally, everyone took to mean that there was something really rotten hidden in May’s deal with the EU. Six parties tabled a contempt motion against her government. Losing it came on the heels of losing two other major votes, a hat trick no prime minister has pulled off since 1978. While contempt proceedings could technically lead to sanctions against ministers, it’s unlikely to happen in this case. Instead, the vote is just another example of how nonexistent May’s authority now is. 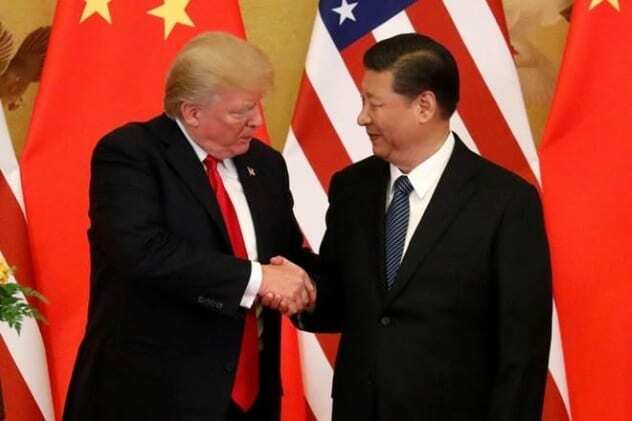 It’s been a bruising few months for both sides, but this week, President Trump and Xi Jinping finally reached an agreement to temporarily halt the trade war between the US and China. The 90-day cease-fire holds back incoming 25-percent tariffs until after both the Western and Chinese new years and essentially gives both sides some breathing room to try to negotiate a solution. While both sides sold the truce as a victory back home, analysis seems to suggest the United States came out on top. Under a draft agreement, China will change its practices in some areas, while also buying more agriculture and industrial output from the US. In return, China doesn’t get a huge amount, although many have noted that the deal’s language is so vague that Beijing could back out of anything Xi later decides is politically unpalatable. However, it’s worth remembering that this is only a truce. If an agreement isn’t reached, then the new tariffs will come into force early next year. Set at eye-watering levels, they will likely cause yet more economic instability. Late last Friday night, the 41st US president finally passed away at the age of 94 from vascular Parkinsonism. The death of George H.W. 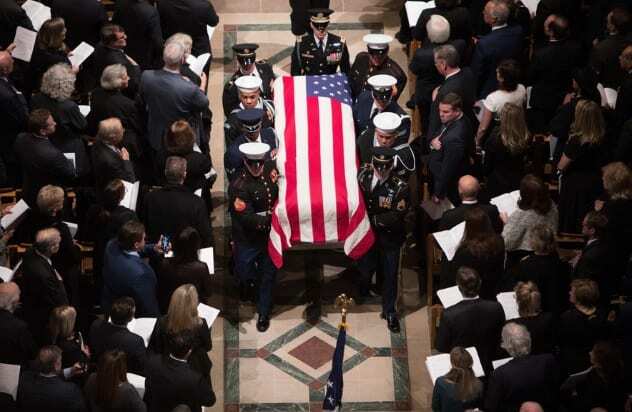 Bush marked the first time a former US president had died since Gerald Ford passed away in 2006. It also marked the end of an era when politics was conducted differently. As America began mourning, many took time to reflect on the huge changes since his 1989–1993 term. A bigger point some outlets made, though, was that Bush the elder may have been the last president both parties agreed was the nation’s legitimate leader. Starting with Clinton’s narrow win in 1992 and continuing through the Florida recount in 2000, into the anti-Obama birthers, and ending with Trump’s losing the popular vote, every president since has been tarred as illegitimate by the other party. Clearly, that’s unhealthy for democracy. Missed the news lately? Catch up on more mind-blowing events from November 30, 2018, and November 23, 2018.